Women’s Philanthropy empowers an individual woman to make a gift in her own name, and represents the fastest growing segment of donors, with contributions comprising approximately one-third of all contributions to the Tampa JCCs Federation’s Annual Campaign. Participation at any level is always appreciated and signifies a woman’s understanding of the essence of being Jewish and the importance of being involved in Federation. For more information on the various levels of giving, or if you are interested in becoming a Lion of Judah, LOJE, Pomegranate, or Morasha, please contact Alissa Fischel at 813-769-4726 or alissa.fischel@jewishtampa.com. A meaningful gift of $1,000 in one’s own name to the annual campaign is the start into Women’s Philanthropy and everything we have to offer. 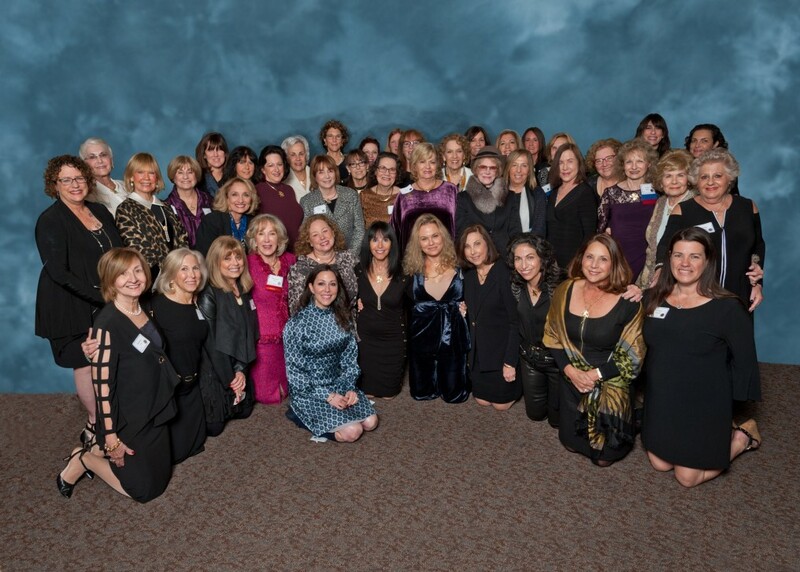 Being a part of Women’s Philanthropy is an affirmation of the power of a woman’s connection to her family, her community and Jewish people around the world. The pomegranate is a reflection of the fruitfulness and abundance of Women’s Philanthropy. It symbolizes our commitment to Jewish life and signifies how Women’s Philanthropy sweetens the lives of those in need. The pomegranate contains 613 seeds, representing each of the mitzvot, or commandments, of the Torah. The pomegranate fruit is one of only seven fruits mentioned in the Bible. It is said that there is a mitzvah for every seed in the pomegranate. The Pomegranate pin is a symbol of a woman’s commitment to and compassion for the Jewish people. It represents the best of what the Federation does – bringing together like-minded donors to do world of good. Giving members are entitled to wear a beautiful sterling silver pin in the shape of a pomegranate. To qualify for the Pomegranate Pin, women must donate $1,800 or more to the Federation’s Annual Campaign. The pin in is designed to be used for 10 years. Each year, the recipient qualifies for an additional “seed” or ruby by adding to her pledge. The Lion of Judah honors women who contribute $5,000 or more to Federation’s Annual Campaign. The Lion of Judah is a symbol of a Jewish Woman’s strength, a symbol of her caring about the organized Jewish world and a symbol of her financial commitment of at least $5,000 to the Tampa Federation’s Annual Campaign. Members can participate in local and national conferences designed especially for them. Society members are also entitled to wear a beautiful 14K gold pin in the shape of a lion, as a symbol of their commitment to the worldwide Jewish community.